Ben Simmons is pushing the limits and defying everything we thought. Just for clarification, it's still not impressive. 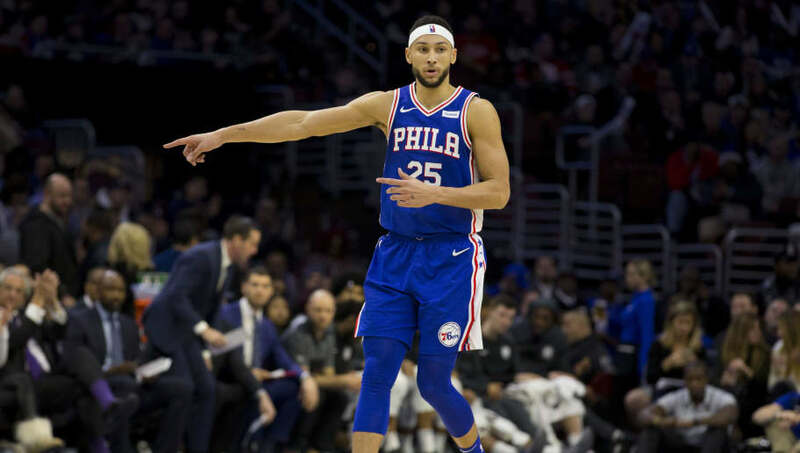 The Boston Celtics may have come away with a Christmas Day win over Philadelphia but it wasn't all L's for the Sixers as Ben Simmons pushed the envelope. The Sixers' point guard hit the longest shot of his career from a whopping 22 feet away. According to @ESPNStatsInfo, that Ben Simmons 22-footer is the longest made shot of his entire career. All it took was complete desperation for Simmons to attempt a shot that is slightly longer than your average free throw. What courage displayed by the jumper-less point forward. There are big men towering over 7-0 tall who are expanding their game and stepping out from beyond three, but it's deemed a Christmas miracle when Simmons takes a shot at the elbow. What a backwards world we live in. It's a surprise Simmons was even contested while taking that shot as Boston has shown before they'll give him all the room in the world if he wants to hoist one up from deep. Maybe the extra defense is what Simmons needs as he can't even hit a free throw regularly. That shot will at least raise his field goal percentage for shots further than five feet away from the hoop.